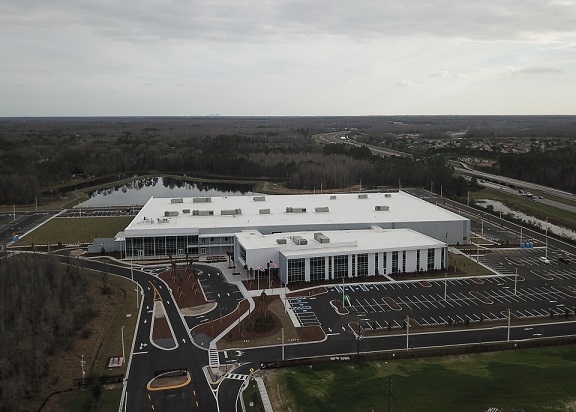 The Product Inspection Group of Mettler Toledo, the largest manufacturer of product inspection systems for the food and pharmaceutical industries, has moved into a new state-of-the-art facility in Pasco County, FL. With 270,000 sq ft of office and manufacturing space, the group will now house four business units. Safeline, the Tampa-based metal detection and x-ray inspection business unit, moved into the new facility this month. It will be joined by the Hi-Speed checkweighing unit and the CI-Vision machine vision and PCE Track & Trace/serialization units later this year. The official company name will be Mettler Toledo Product Inspection. Having all of inspection technologies manufactured under one roof will be a significant advantage to customers. Not only can they save time and money by visiting a single location to see demonstrations and testing on all variations of inspection equipment, they can seek advice on all technologies from experts to determine the best solution for their specific application. The new state-of-the-art facility elevates Mettler Toledo's capabilities, with a much larger production area, first-class training and test labs, as well as multiple FAT (factory acceptance testing) rooms. With collaborating R&D resources and extensive combined industry application expertise, Mettler Toledo is now well-positioned to deliver more innovative solutions.